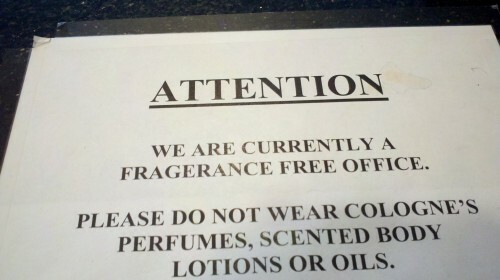 Maybe the only perfumes they are banning are ones from Cologne (aka Köln) in Germany? they are giving away a free office which is filled with fragerence. fragERance has extra stank on it! So, I guess the cologne is owning the perfume here. Oh, the apostrophe abuse!